Whether you are a woman or a man, you need to have good looking skin. Skin free of blemishes, redness, blackheads and even pimples is all you want. For that reason, you need to use high quality products that will get rid of the blemishes, breakouts and even pimples. Most of the products come with vitamins and other essential nutrients that are required by the skin. Most of the products are exfoliators and get rid of dead cells and excess oil. They leave skin healthy, rejuvenated and smooth. Also, there are products that focus on reducing the appearance of skin pores. Have you ever asked yourself how acne, pimples and even breakouts occur on your skin? This problem starts on the hair follicles. When hair follicles or skin pores are clogged by dead skin cells, oil and dirt, they can get infections caused by bacteria. 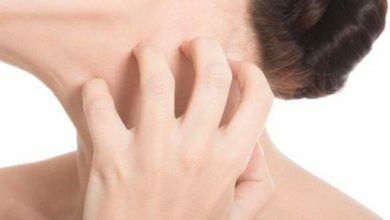 These infections are the ones that cause pimples, breakouts or even acne on your skin. For that reason, if you want to treat pimples or get smooth healthy skin, you need to focus on keeping skin pores in good shape. Keeping them in good shape involves unblocking them, keeping them small and above that keeping them free of bacteria, dead skin cells, oil and dirt. 2.9 What are pores and how do they become large? 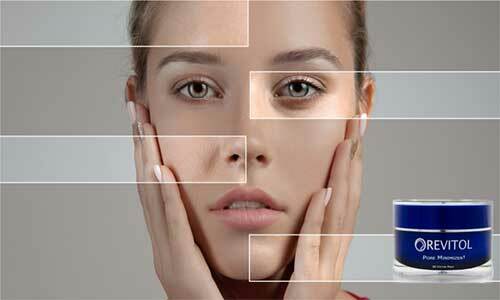 2.10 What are the effects of pore enlargement and blockage? 2.11 What can you do to avoid pore enlargement? 2.12 How can you reduce pore visibility? 2.13 How does a pore minimizer work? Use of a pore minimizer is the best option to reduce the visibility of pores on your skin. There are many pore minimizers on the market but not all are safe and effective. Below is a detailed discussion of 8 best pore minimizers on the market you can try. This is one of the top pore minimizer products you will find on the market. The product can be used on clean skin as well as on top of makeup. Its primary aim is to hide the appearance of pores. This makes sure that you look smooth and beautiful. The product works by gently exfoliating the skin to remove dirt, wax and dead skin cells that can clog the skin pores. On top of that, this amazing product helps in controlling and absorption of excess oil on the skin. 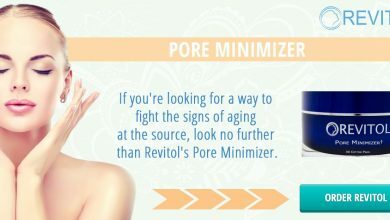 Revitol Pore Minimizer comes with safe ingredients that will improve the appearance of your skin and leave it healthier. On top of reducing the appearance of pores, this product gives your skin a radiant complexion free of breakouts and pimples. Revitol Pore Minimizer has salicylic acid as the main ingredient. It has other ingredients such as glycerin, butylene glycol, sodium hyaluronate, zinc gluconate, Polysorbate20, sorbic acid and several others. These ingredients make a great formula that exfoliates the skin and improves its elasticity. It is free of harmful ingredients such as parabens. This amazing pore minimizer is easy to use. You just need to clean your skin and dry it. After that you should apply the formula. The formula can also be used on top of makeup and give you excellent results. You need to buy this product as it is affordable and highly effective when it comes to reduction of pore appearance on skin. The product is also safe to use and comes with zero side effects. This is a top solution for having smooth and healthy skin. The product has three products; a supplement, daily wash and skin protection cream. 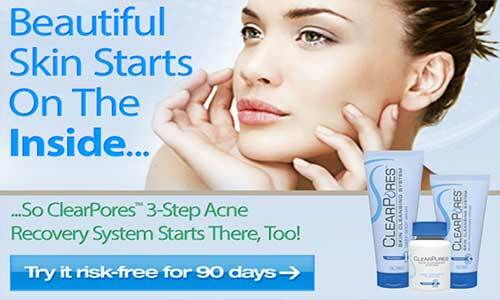 The system works magic when it comes to people with acne, blocked pores and those with enlarged pores. When you use this product, you will definitely smile after three months. The supplementhelps you get rid of toxins in the body. When it comes to the daily body wash it has all the ingredients required to exfoliate your skin. The daily wash will get rid of dead cells, oil and dirt that accumulate on skin pores. The skin protection cream will provide anti-inflammatory relief, prevent pore clogging and reduce the appearance of skin pores. The supplement is made up of natural ingredients such as dandelion root, burdock root, cayenne, aloe vera and many other plants. When it comes to deep body wash, it has glycerin, salicylic acid, polysorbate 60, retinyl palmitate, propylene glycol, polysorbate20 and several others. The ingredients make it a perfect formula to clear breakouts and repair damaged skin. When it comes to the protection cream, it has salicylic acid, potassium hydroxide, thiotic acid, glycolic acid, cetyl alcohol among others. The cream leaves your skin in good shape with a natural glow. This is another product offered by Revitol. It is a top quality formula that has proved to be anoption to reduce the appearance of pores on face or any other part of the body. Lucent Skin Pore Minimizer comes with safe ingredients such as salicylic acid. The product exfoliates the skin and cleans all pores by dissolving all dead cells and oil blocking the skin pores. This makes sure that the pores are unblocked and the skin appears youthful and non-shiny. We know that you need a skin that is healthy and looks great. For that reason, you need Lucent Skin Pore Minimizer to enhance its appearance. Lucent Skin Pore Minimizer is a top quality product that has many effective ingredients. It has salicylic acid and alpha lipoic acid as the main ingredients. Salicylic acid clears the skin pores of the dead skin cells, oil and dirt. Lipoic acid helps to reduce swelling, bumps and even making skin smoother. The product has zinc which is a great anti-inflammatory agent. This product should be applied on clean and dry skin. You need to apply it on skin and massage it gently for it to penetrate the skin. You can use it twice every day for excellent results. It can be used on different types of skin ranging from dry to oily ones. Are you looking for a 100% organic pore minimizer? If yes, Lerosett Pore Minimizer Organic Active Serum is the product you are looking for. It is a lightweight serum that leaves your pores open and reduced in size. It works well by removing all dirt, dead skin cells and wax on pores. This prevents the enlargement of pores hence reducing their appearance. On top of that, this pore minimizer has natural ingredients that heal skin breakouts. It also controls the oil that reaches the skin surface so that you can have a fine look that is non-shiny. Lerosett Pore Minimizer Organic Active Serum has aloe vera as the main ingredient. We all know that aloe vera is rich in nutrients as well as antioxidants that can heal various skin conditions. The product has glycolic acid which reduces the appearance of pores. The acid is sourced from blueberries. It has several other extracts that enhance its effectiveness. You need to clean the face or any target area you want to heal or reduce the appearance of pores. After that you should apply the pore minimizer serum and smear it properly for it to be absorbed into the skin. Do this twice every day and you will have an improved skin health and complexion. This is another high quality pore minimizer you can find on the market. The product is rich in salicylic acid and alpha licoic acid. This help to exfoliate and unclog all skin pores. This helps reduce the sizes of the pores hence reducing their appearance. Perricone MD Intensive Pore Minimizer also encourages collage production and that makes the skin to look youthful and firmer. As a top pore minimizer, this product has salicylic acid, alpha licoic acid and DMAE as the main ingredients. The ingredients work well to see that the skin is exfoliated in the right way, pores are cleaned and unblocked. 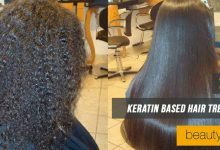 Other ingredients that enhance its effectiveness include polysorbate 20, zinc gluconate, glycerin, butylene glycol and several others. This is a highly concentrated formula. For that reason, you need to shake it well before use and use small amounts for better results. Use a cotton pad for application. Saturate the pad with the solution and use it to clean the face or any other part of the body. Apply two times in a day. This is a high quality pore minimizer that you should have. It is perfectly made to erase the appearance of large pores and mattifies skin. 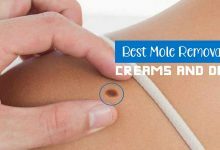 On top of that, it is highly recommended by top dermatologists as it is safe and has the right ingredients known to reduces the appearance of pores on skin. Dr. Brandt Pores No More works by getting rid of dead skin cells and oil on skin as well as pores. Pores No More has come with many ingredients. It has tea tree leaf oil, linseed extract, cyclopentasiloxane, lavender oil, magnesium silicate and many other ingredients. These ingredients work together to give you excellent results; reduction of pore sizes. It has no harmful ingredients that can alter the functionality and appearance of your skin. This is another pore minimizer that has proved to be an excellent solution to large pores. The product aims to reduce the size of the pores by exfoliating and removing all dirt and dead cells that block and enlarge them. 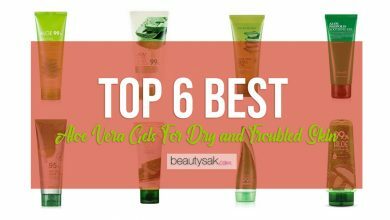 On top of that, the product is a great moisturizer that encourages skin hydration. If you have an oily skin that shines, you need this product as it will absorb excess oil and give you a matte finish. Estee Launder Idealist Pore Minimizing Skin Refinisher is made of safe ingredients that will not only reduce the appearance of pores but also improve your skin health. This product is made up of many plant extracts. Some of the plant extracts include grape fruit extract, green tea leaf extract, barley extract, chestnut seed extract, mulberry root extract, saw palmetto fruit extract among many others. On top of that, it has other ingredients such as cyclopentasiloxane, dimethicone, polysorbate 20 and many others. It is a great formula for your skin as it has no harmful additives or ingredients. It is an easy to use pore minimizer product. You just need to apply it on a clean face before a foundation or moisturizer. It will reduce the visibility of pores and give your skin an even tone. If you are searching for a top pore minimizer available at low price, Neutrogena Pore Refining Moisturizer is what you are searching for. It is a great product that reduces the visibility of pores on your face, hands and body. The product also unclogs all clogged pores leaving them open and clean. It also encourages skin regeneration which makes you have a young, soft and smooth skin. This pore minimizing product comes with beta hydroxyl acid as well as retinol. Also, it has other ingredients such as cetyl alcohol, BHT, sunflower seed oil, polysorbate 20, ascorbic acid, salicylic acid and many others. It is a safe product as it has zero harmful ingredients. What are pores and how do they become large? We all know that skin is the largest part of the human body. The skin has two types of pores; oil pores and sweat pores. 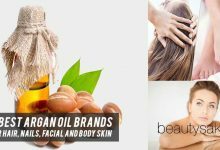 Oil pores are also referred to as hair follicles, and are highly essential in keeping the skin moisturized, shiny and healthy. Oil pores provide a way where oil is deposited on to the skin surface for moisturization. The oil is referred to as sebum, and it is produced by sebaceous glands below the skin surface. On the other hand, sweat pores are used to get rid of sweat. Sweat pores are relatively smaller compared to oil pores. As a result, it is important to note that most of the pores you see on your skin are oil pores. Many people want to know how oil pores become larger than expected. To answer this question, it is important to note that there are many materials that can be found on skin pores such as dead cells, oils and even dirt. When these materials accumulate on the pores, they tend to stretch them. In some cases, they end up blocking the pores and the oil has to force its way to the surface hence stretching the pores further. This is the main cause of pore enlargement and it can be easily addressed. What are the effects of pore enlargement and blockage? 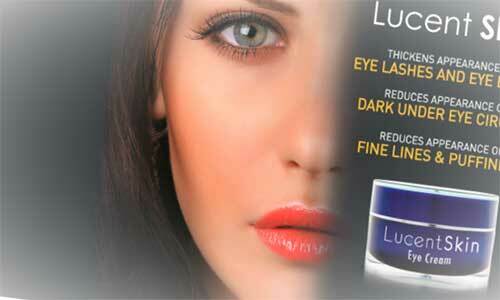 One of the main effects is that they are more visible and can affect the appearance of skin. Many people don’t want the pores to be seen. For that reason, they try their best to reduce the appearance of the pores. Another effect of pore enlargement is that it can lead to accumulation of acne forming bacteria and dirt which can lead to acne, blemishes and even skin breakouts. When the skin pores are blocked, the oil doesn’t reach the oil surface and that can lead to a dry skin. Clogging of the pores can also cause pimples and skin breakouts. What can you do to avoid pore enlargement? Prevention is better than cure. If you don’t want to have large pores, you need to clean your skin always using the right products. You need to use soap with salicylic acid, lactic acid or any other exfoliating ingredient to ensure that you remove all dead skin cells that can block the hair follicles. Exfoliating creams are also a great option as they will get rid of dead cells and promote collagen production which rejuvenates the skin. It is advisable not to use oil and greasy creams and lotions as they end up clogging the hair follicles which can cause pore enlargement. How can you reduce pore visibility? It is important to note that pores are very important. For that reason, you cannot get rid of them. However, what you can do is to reduce their appearance. Reducing pore appearance, you need to use pore minimizers. This product will help in making the pores smaller and less visible. Most of the pore minimizers can be used by other skin care products including makeups. A good pore minimizer should have the right ingredients to exfoliate and rejuvenate the skin. On top of that, the minimizers should also unblock the oil pores and have anti-inflammatory properties to treat infections. How does a pore minimizer work? We have many pore minimizers on the market today. Their effectiveness may vary but they have something in common; how they work. Most of the pore minimizer on the market exfoliate the skin. They remove all the oils, dead skin cells and even dirt that may block the pore and cause enlargement. On top of that many of them help to control the amount of oil produced and absorbed on the skin. This helps the pore to always have a small size as excess oil can make pores larger than the usual size. Furthermore, many pore minimizers will improve skin elasticity. This will effectively reduce the appearance of pores. One of the main things to look for when buying a pore minimizer is ingredients used. You need to go for a minimizer with effective and safe ingredients. Most effective pore minimizers have Alpha Hydroxyl Acids, zinc, Azelaic acid and vitamins such as Vitamin A and E. This is to ensure proper exfoliation and prevention of bacterial infection. On top of that, you need to go for products with positive reviews. It is important to consult previous users of a pore minimizer you want to try. When it comes to price, go for a product that is not too expensive. You can buy an expensive product to regret later as it may not be effective. From above, it is evident that having large pores can be a challenge. As a result, we need to fix large pores by using the right products to exfoliate the skin and unclog clogged pores. This will reduce their appearance and you will have smooth and attractive skin. 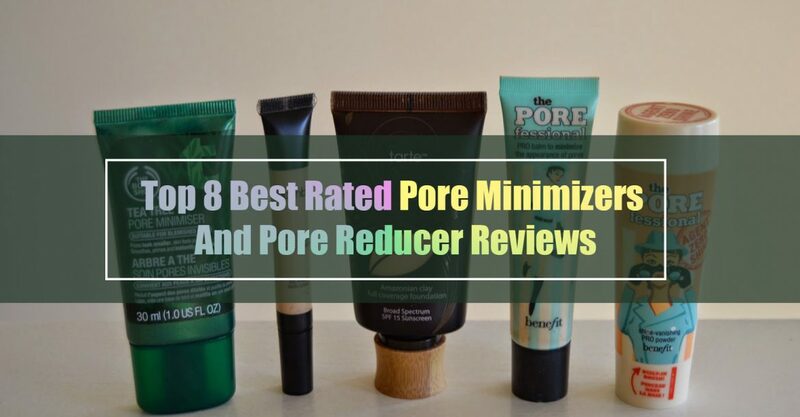 The pore minimizers discussed above are the best but their effectiveness vary. Try any of them, and you will not be disappointed. Rarely have we done a review article and come up with products that literally bear no cons to its usage! This is one such instance of the same as you will find a good number of products in this list which boast of a “None” in the list of cons. 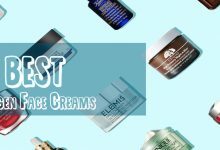 Needless to say, all the products here are some of the best we have ever reviewed and each and every one of them are super effective against those bothersome pores. 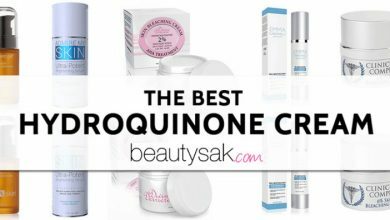 However, among these elite pore minimizers, the Neutrogena Pore Refining Moisturizer stands out as our primary choice owing to its remarkable effectiveness, formulation and results. BEAUTYSAK is an affiliate to Amazon Services LLC Associates Program. This website provides product reviews and makes some commission by advertising Amazon links. This content is provide 'As Is' and is subject to change or removal at any time.